A fitness article entitled “Take it Easy?” You must be thinking this is some sort of joke. No I’m completely serious. I’m not telling you to sit on the couch and watch soap operas and munch on potato chips. I’m suggesting that you don the sports wear and ease into it gently – like you slide slowly into the jacuzzi to get your skin used to the hot water. What I see most often first of the year is the mad plunge fully clothed (that would be without even examining if the water is diving depth). So here we have Suzy exerciser who hasn’t worked out since that fateful day last January when she found herself so sore after a four hour workout, she couldn’t walk let alone sit on the john. She’s back at it with the same fury – this time with a new outfit – running for 60 minutes, lifting the heaviest weights she can lift for an hour and then going for the elliptical burn until a waiting exerciser kicks her off. “Nice,” she says to the astonished woman waiting. “Thanks to you, I won’t reach the five hour mark.” In another week, Suzy will (once again), hate exercise so much, she will avoid it until the first of next year, when she suddenly feels that urgent need to burn off those holiday pounds. 1 – go for progressive overload. Based on what you have been doing recently, gradually (yes, I said gradually) increase intensity and duration of your workout. That means if you have been doing nothing, you might want to start with an easy 20 or 30 minutes of cardio. After this feels comfortable (usually 2 to 4 weeks depending on age, health and physical condition), you can begin increasing intensity or duration. I recommend changing one variable at a time. 2 – Choose something you like. If its fun, you’ll keep doing it, right? 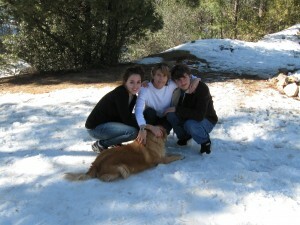 What I love most is swimming, dance classes and other outdoor activities, like throwing snowballs at my children. 3 – Measure your progress. Keep a log of how much time you are accumulating doing cardio activity and strength training or log miles of running or swimming. See if you can walk, run, or swim that mile a bit faster and keep track of your times. If events keep you motivated, raise money for a charity or organization you care about through your participation in a walking or running event. 4 – Find an exercise buddy or trainer to keep you accountable. Workout with someone else or hire a trainer to keep you motivated so you will strive to do your best. You are less likely to skip a workout if you have an appointment with a trainer or a friend is depending on you to show up. 5 – Look at the big picture. Doing regular exercise (even if its 30 minutes) most days of the week will do much more for you than extreme exercise over the course of a few days. Good luck! I hope you find 2010 your fittest year ever. Great fitness tips that make sense on easing into exercise, Susan. Those of us who are baby boomers should pay special attention. Once we’re injured, from too quick too soon fitness regimes, it takes a long time to recover. Looking forward to more tips from you. You are absolutely right, Donna. The older we get, the more important it is to increase intensity and duration more slowly. Spending 10-15 minutes warming up before doing anything vigorous is also prudent as is stretching for a similar amount of time post-exercise.